A particular sphagnum bog is a yearly destination of mine in the autumn months. What could be the attraction, you might wonder, of a place so swampy and sodden? Besides the acknowledgement and appreciation of a habitat so seemingly open and sparse, I head to the bog so I may harvest one of my favorite fall fruits … wild cranberries. Cranberries (Vaccinium macrocarpon) were a favorite food of the people who inhabited Pennsylvania centuries ago, including the Lenape and Shawnee Natives, though today it seems their presence in the wild has been forgotten. Interestingly, along with blueberries and Concord grapes, the wild cranberry is one of the few native fruits widely grown in cultivation today. • Wild cranberries, characteristic of other members of the heath family (Ericaceae), inhabit slightly acidic bogs, swamps, peaty wetlands, and occasionally poorly drained meadows. In other words, they frequent wet lands. 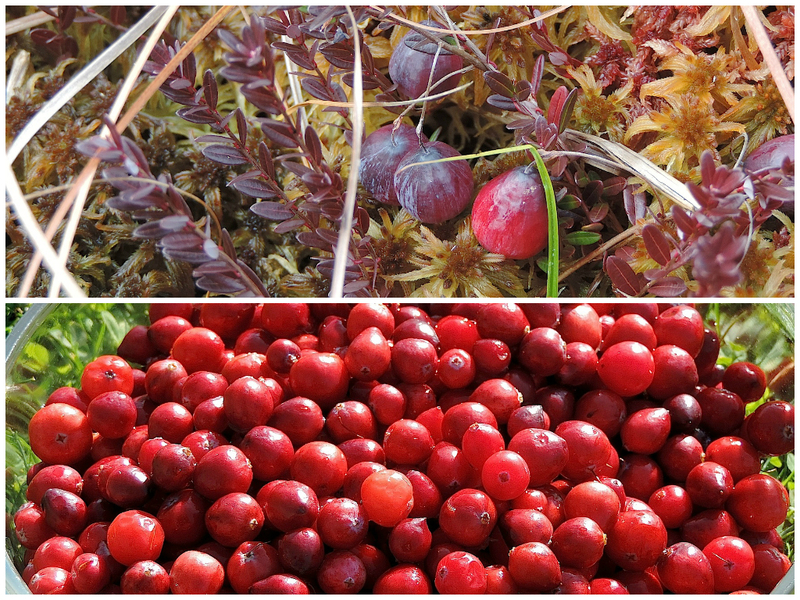 • October and November are great months to harvest wild cranberries, though the fruits can still be found into the late winter months (sometimes frozen, sometimes thawed … still delicious). • The cranberry plant is a trailing evergreen shrub, laying very low to the ground. Its leaves this time of year are reddish-purple. When looking for the fruits, walk slow and keep your eyes down, as it’s very easy to step on or walk right past the cranberries. It’s not too late to harvest wild cranberries! I only harvested a fraction of the total amount available (a good foraging practice), leaving some for the bear, rodents, birds, deer, and of course … you.